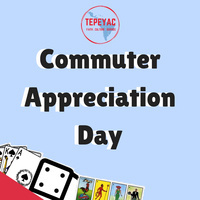 Join Tepeyac for our FIRST Commuter Appreciation Day of the quarter on Thursday, April 18th from 4-6pm in suite 104 of the Lincoln Park Student Center. We will be providing FREE dinner, board games, video games, etc. Be sure to bring your friends so that we can celebrate our commuters!